Are you hosting Thanksgiving this year and interested in catering instead of slaving over a hot stove? Here is my guide to some of the best places to order an entirely pre-cooked Thanksgiving Day Feast. Wishing you and your family a very warm and fun-filled Holiday! Happy Thanksgiving! Offered at Clarendon/Arlington Location and many locations throughout the Washington DC Area. 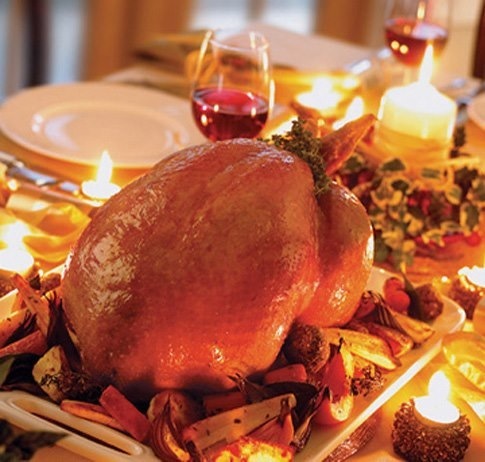 The organic food store offers complete Thanksgiving dinners with an organic turkey OR Vegan Turkey with the traditional trimmings stuffing, mashed potatoes, gravy, and cranberry sauce OR Gluten Free and Vegan Options. Orders can be placed in person at each store, over the phone, or online. And for those of you who miss the deadline to place an order, there will be plenty of pre-packaged fresh items on the shelf (while supplies last). Boston Market Whether you need a banquet with all the fixings or a few home style sides, you can trust us with your holiday celebration. All for about the same price as your local grocery store and without the hassle of cooking. Liberty Tavern is offering an all you can eat Thanksgiving Buffet for only $30. This is perfect for those not interested in staying home or going to someone else’s house for the traditional dinner. Get all dolled up and enjoy your holiday at a very fine establishment in Clarendon. The cityhouse restaurants can be found in Manhattan in New York, New York; San Francisco, California; and Arlington, Virginia. Set within some fabulous hotels, city house restaurants are ideally located near each city’s most popular events and attractions, making them a favorite choice for residents and visitors to enjoy a special dining experience for breakfast, lunch, or dinner. We are very lucky to have one within the Rosslyn-Clarendon Corridor. City House/Rosslyn is offering a $29 3-Course Pre-Fixe Dinner on Thanksgiving. Call for Reservations! Three locations in the DC Area: 10323 Old Georgetown Road, Bethesda, MD (301) 564-3100. 600 Franklin Street Alexandria, VA (703) 549-6611, 6655 Old Dominion Drive McLean, VA (703) 448-3828. The Thanksgiving menu showcases traditional turkey and a selection of modern side dishes and desserts. Offered at the Rosslyn and Lee Heights Locations and most areas in Northern Virginia. Safeway offers several different heat and serve turkey dinners with side dishes and desserts. Monday through Friday of this week, every Rocklands will be serving Thanksgiving on a Bun as our blue-plate special. Turkey, stuffing, cranberry dressing and mayo on a potato roll, all for just $6.99. And if you need potatoes and gravy too, well, you can add french fries and gravy on top for just $1 more. Assaggi Mozzarella Bar, 4838 Bethesda Avenue in Bethesda, MD, and its sister restaurantAssaggi Osteria,, 6641 Old Dominion Drive in McLean, VA will offer three Thanksgiving feasts “to go.” Guests can choose from three pre-cooked options: the Italian Roasted Turkey Dinner; Italian Roasted Turkey Breast (only) Dinner, and the Italian Style Turkey Dinner Three-Ways. The “to go” menus are priced at $180, $140 and $210, and serve between six and eight people. Each “to go” menu also includes a choice of dinner rolls, two condiments, three sides and one dessert. Desserts can also be ordered a la carte, and are priced between $25 and $30 each. 1330 South Fern St. Arlington, VA. Located near the Pentagon City Mall, EPIC will offer a limited supply of turkey dinners for carryout that will feed up to 10 people. Pick up a 10-12lb turkey that can be either smoked or fried. Turkey dinners cost $70 and include gravy along with a choice of three homemade sides. Selections include mashed potatoes, sweet potatoes, stuffing and creamed corn. An extra side can be purchased for an additional $10.